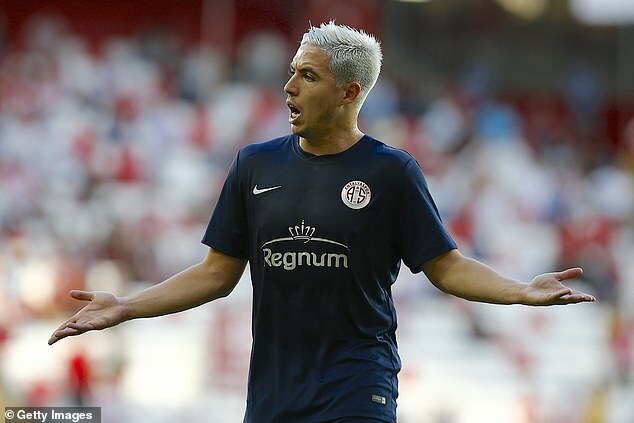 Samir Nasri wants £5m-a-year to move to West Ham. The former Arsenal and Manchester City star is in talks with the Premier League club after returning from a drugs ban. Nasri, 31, is keen on the move but is insisting that his salary demands are met. The salary works out for just under £100,000-a-week. Everton manager Marco Silva had discussed a move for the player with his back room staff but Nasri did not fit the age profile of players that the Merseyside club want to do buy. Nasri has also told advisers he fancied a move to the MLS in America but the former France international cannot earn the money he wants in the States. West Ham boss Manuel Pellegrini wants extra fire power up front and had worked with the player before at City.